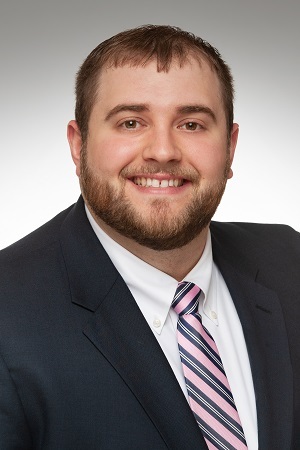 Camden, Maine June 12, 2018 – Camden National Bank has recently promoted Joshua Tainter to Assistant Vice President, Commercial Banking Officer. In his new role, Josh will handle the commercial banking needs of businesses in Central Maine. In addition to serving his current customer base, he will also be responsible for assisting new Camden National Bank customers. Tainter has been in the banking industry for seven years. He most recently served as the Commercial Portfolio Manager for the Central Maine lending team. Prior to joining Camden National Bank, Tainter served as a Credit Analyst at Auburn Savings Bank. He received his B.S. in Finance from Thomas College. Tainter is actively involved in the community, and he is Co-Founder of the Tainter Family Foundation which helps local families burdened with the emotional and financial struggles associated with cancer diagnosis. He serves on the Board of Directors for the Risk Management Association (RMA) and Promise Early Education Center, and he volunteers for Area Youth Sports (AYS). Originally from Livermore Falls, Maine, Tainter currently lives with his wife Brittany and their son Benson.